Reciprocity is a concept in psychology which suggests that, in the majority of people, there is a basic human need to reply in kind, and a tendency to give something back when something is received. 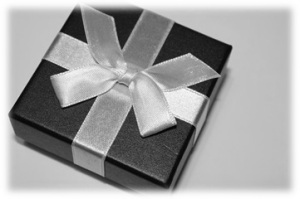 This urge is actually strongest when you receive a gift from someone who has no expectation of it being returned – i.e. they give you something for free. The most basic example of this is can be seen when someone gives you a compliment. You reply with ‘thank you’ – a show of gratitude – and they will more than likely reply again, with something along the lines of ‘you’re welcome’. In a more commercial setting, think about why it is that big brands are often willing to give away their products at promotional events. Partly, this is because you may potentially like their brand of crisps or the way their makeup affects your skin. However, when say, an insurance company offers you a free pen (Parker or otherwise) just for inquiring about their services, this is playing on the ingrained trait of reciprocity. We are hard-wired to, wherever possible, avoid feeling indebted to someone. First, gifts don’t need to be tangible or physical items. This blog, for instance, is in some ways utilising the concept of reciprocity. It’s also an attempt to build influence and trust, as well as a tool for SEO and social media content creation. Finally, it’s just a nice place to talk marketing and think through ideas and concepts. You can also give away your time – if one of your clients is involved in a local club, offer to help out – if nothing else it’s a great way to get chatting about something you both enjoy. Still, if you don’t want to give away your knowledge or time, utilising ‘real’ gifts can be effective. The key is to be honest, genuine and not give things away in expectation of receiving something in kind. Ideally, providing a gift might be seen as something that will help develop a relationship quicker – not developing one that would not naturally have occurred. Also, think about how the gift might be perceived by the recipient. A hand written note and small chocolate bunny at Easter, sent to a previous client you’ve not spoken to for a few months, is a surprising, natural (i.e. it makes sense in context) and potentially very effective method of re-establishing communication. On the flip side, sending a top of the range mobile phone to a prospect you’ve never met, with your number programmed as the only number in it, is borderline bribery. Not only that, but it would actually put many recipients in a very uncomfortable place psychologically. Calling you to thank you for the chocolate bunny and asking how businesses was would, we would generally suggest, suffice as a reciprocation. In the case of the smartphone however, the individual may feel the need to respond in kind, or with a gift or similar value (for those of you who didn’t watch the video above, now’s the time).